Specialists in niche rock and metal festivals HRH have announced that HRH Punk will be coming to Sheffield’s O2 Academy in October 2019. 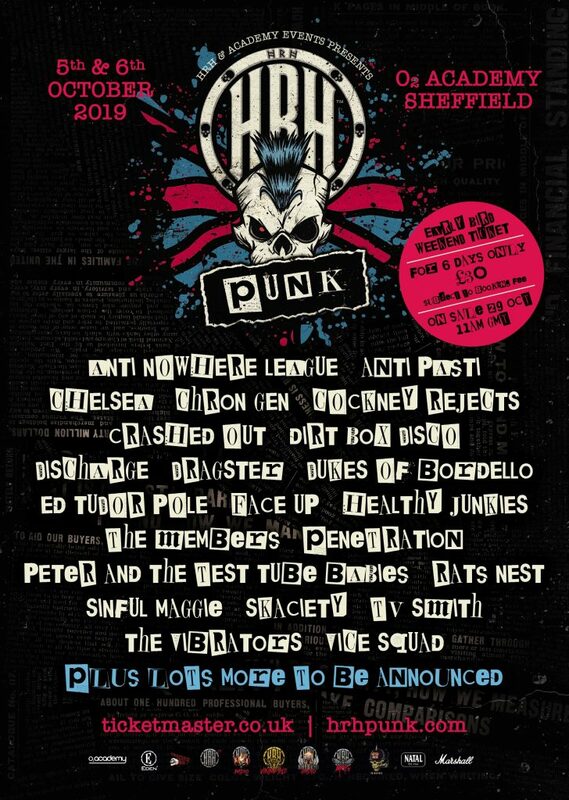 The festival will host more than 30 punk rock and ska bands in three rooms, over two days and nights on 5th and 6th October 2019. See below for the line-up so far, with more to come. Tickets are priced at £40.00, with hotel packages also available here.